To celebrate the release of his new album, McCreery will appear on Good Morning America Monday morning to talk about the return of the show that got him his start, American Idol. Then on Thursday, March 15 he will visit Megyn Kelly TODAY to sing his RIAA Gold-Certified single “Five More Minutes.” Celebrating his album release, McCreery hosts an album launch party and concert at Gramercy Theatre in New York City on Monday, March 19 and strips it back for an intimate performance on the syndicated show, Pickler & Ben, next Wednesday, March 21. 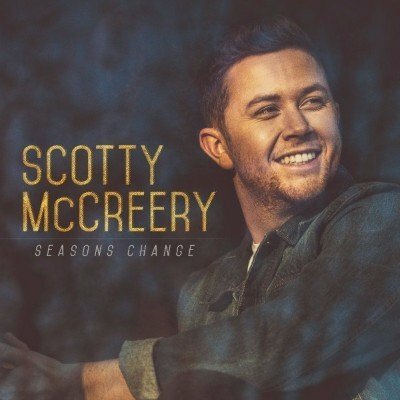 Fans can purchase Seasons Change onsite and have it signed in person by McCreery on March 18 in the Boston area at the FYE in Hanover Mall at 1775 Washington Street, Hanover, MA beginning at 1 PM ET, and on March 20 in his hometown of Garner, NC at the Walmart at 5141 NC Highway 42 W, beginning at 7:00 PM. McCreery made history in 2011 as both the first country artist and the youngest male artist of any genre to debut his first studio album, the Platinum-certified Clear as Day, at No. 1 on the all-genre Billboard Top 200 Albums chart. All three of his albums have debuted at No. 1 on a Billboard Albums chart, with current combined sales nearing 3 million copies. He’s earned two Gold singles and three Platinum singles and achieved two Top Ten hits with “Feelin’ It” and “See You Tonight.” The latter song earned McCreery both his first BMI Award for writing one of the Top 50 Country Songs of 2015 and his first Music Row No. 1 Challenge Coin. He won the 10th season of “American Idol” in 2011; was named the ACM New Artist of the Year in 2011; won the CMT Music Award for Breakthrough Video of the Year (“The Trouble with Girls”) in 2012; and American Country Awards for new Artist of the Year in 2011 and Breakthrough Artist of the Year in 2013. In 2016, McCreery released his first book, Go Big or Go Home: The Journey Toward the Dream, and won the Rare Country Grand Ole Opry Moment of the Year Award for his live performance of “Five More Minutes” which became his first No. 1 single and an internet favorite viewed by millions on YouTube. His new album, Seasons Change, will be released on March 16, 2018. For more information and his current tour schedule, visit www.ScottyMcCreery.com. Country Music News Blog participates in advertising programs that help fund the operation of this site. For more information please visit our privacy statement. This entry was posted in New Music, Press Releases, Scotty McCreery by Shauna "WhiskeyChick" Castorena. Bookmark the permalink.